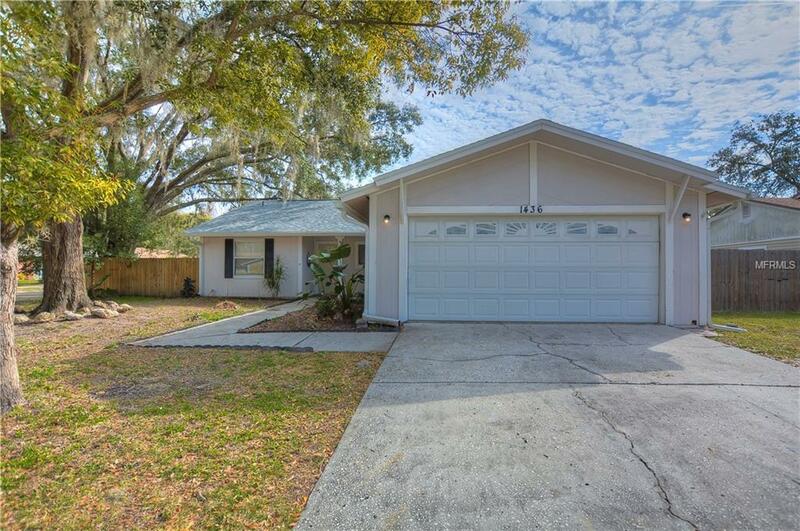 Move right in to this updated POOL home located on a corner lot with NO HOA fees or deed restrictions! NEW roof 2018 (transferable warranty), Water heater 2015, A/C condenser 2016, Pool pump 2015. This home features an open floorplan with a large updated kitchen that boasts granite counters, stainless steel appliances, granite backsplash, pantry, breakfast nook, and a breakfast bar that overlooks the spacious living room & dining room with vaulted ceilings and views of the sparkling pool. The large master suite has plenty of room for a king size bed & additional furniture, a walk-in closet, and an attached master bath with a large vanity and a walk-in shower. The secondary bedrooms are spacious and the secondary bath has been updated. There are 2 hallway closets for linens and additional storage. The master bedroom & living room have sliding glass doors that lead to the sparkling pool & lanai with a screened enclosure. Relax after a long day or enjoy dining alfresco on your covered lanai. The large backyard is fully fenced on all sides and is perfect for grilling & entertaining! Seller is offering a 1 year home warranty up to $500 to Buyer(s) at closing. Centrally located near many restaurants, shops, Wiregrass mall, Tampa Premium Outlets, and so much more! Additional Lease Restrictions Please Verify With City if There Are Any Restrictions.